WordCrafter.net links to this story from an excellent page on picking a topic for an essay — English teachers, social studies teachers, you should probably make this page a part of your syllabus for essays, really. A few teachers use the page, and when they assign essays this post starts rising in the hit count. 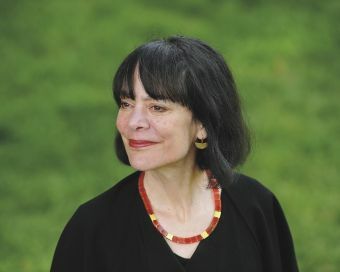 Every teacher needs to get familiar with the work of Carol Dweck. She’s a Stanford psychologist who is advising the Blackburn Rovers from England’s Premier League, on how to win, and how to develop winning ways. Your students need you to have this stuff. A 60-year-old academic psychologist might seem an unlikely sports motivation guru. But Dweck’s expertise—and her recent book, Mindset: The New Psychology of Success—bear directly on the sort of problem facing the Rovers. Through more than three decades of systematic research, she has been figuring out answers to why some people achieve their potential while equally talented others don’t—why some become Muhammad Ali and others Mike Tyson. The key, she found, isn’t ability; it’s whether you look at ability as something inherent that needs to be demonstrated or as something that can be developed. I can’t do justice here, in short form, to Dweck’s work described by Marina Krakovsky. See this story in Stanford Magazine . Now Dweck has formed Mindset Works, which “helps human beings reach their full potential.” Its signature product is Brainology, software developed by Dweck and educational researcher Lisa S. Blackwell and now available at www.brainology.us following successful pilots in the United States and abroad. The program aims to motivate middle school and high school students to do better in all their subjects by teaching them how the brain works and how to boost their intelligence. A common theme that appears throughout Outliers is the “10,000-Hour Rule”, based on a study by Anders Ericsson. Gladwell claims that greatness requires enormous time, using the source of The Beatles’ musical talents and Gates’ computer savvy as examples. The Beatles performed live in Hamburg, Germany over 1,200 times from 1960 to 1964, amassing more than 10,000 hours of playing time, therefore meeting the 10,000-Hour Rule. Gladwell asserts that all of the time The Beatles spent performing shaped their talent, and quotes Beatles’ biographer Philip Norman as saying, “So by the time they returned to England from Hamburg, Germany, ‘they sounded like no one else. It was the making of them. '” Gates met the 10,000-Hour Rule when he gained access to a high school computer in 1968 at the age of 13, and spent 10,000 hours programming on it. Does Gladwell mention Dweck’s work? Is Dweck’s work confirmed by Ericsson’s? There’s a lot of room for discussion there, especially in an essay. For writing, for writing essays, practice provides dramatic improvement for students — that much is certain. This entry was posted on Thursday, October 25th, 2012 at 3:12 am and is filed under Brain development, Brain learning, Classroom management, Education, Education success, Learning, Pedagogy, psychology, Teaching. You can follow any responses to this entry through the RSS 2.0 feed. You can leave a response, or trackback from your own site.